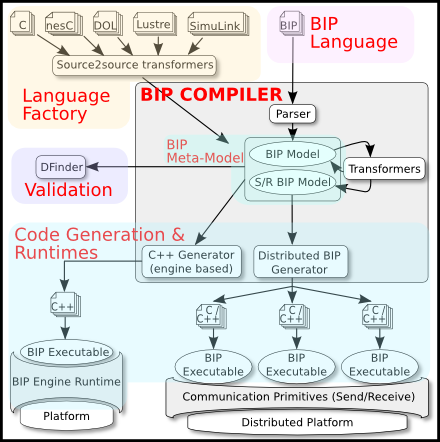 download the BIP compiler & runtimes for GNU/Linux - x86. a code generator for mixed-critical applications targeting multi-core platforms. NEW VERSIONS of the compiler and engines are AVAILABLE! BIP examples can be found here.